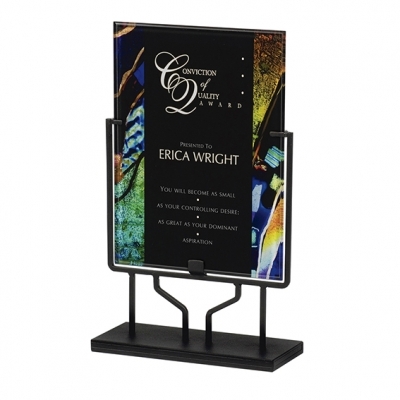 This black acrylic plaque features splashes of gold and blue designs in its border and is prominently displayed by an iron stand. Your custom text of recognition and logo or graphic in engraved directly into the plaque and appears white. Each award is individually gift boxed.